Con un annuncio diramato ufficialmente in queste ore, Niantic ha ufficializzato una serie di eventi in programma in Europa durante il mese di settembre, dedicati a coloro che si sono appassionati ad un gioco tanto popolare come Pokèmon GO negli ultimi mesi. 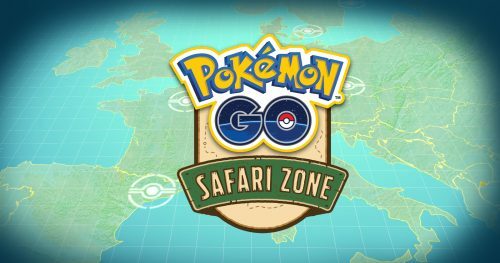 “The first series of Pokémon GO Safari Zone events in Europe are just around the corner! On September 16, official Pokémon GO Safari Zone activities will be taking place at Unibail-Rodamco Shopping Centres located at CentrO in Oberhausen (Germany), Les Quatre Temps in Paris (France) and La Maquinista in Barcelona (Spain). At each Pokémon GO Safari Zone event, Trainers will receive an in-game medal and special 2 km Eggs from the various PokéStops found at each of these shopping centers. Lures will be activated all day at each PokéStop at the event so Trainers can catch Pokémon together, including Kangaskhan, Chansey, Larvitar, and others. Trainers in the area may even spot Shiny Pikachu, Shiny Magikarp, and various forms of Unown! In order to optimize the experience for all Trainers attending, Gym and Raid Battles will not be available at these shopping centers during the events”. Sicuramente gli allenatori di Pokèmon GO saranno coinvolti anche in altri angoli del mondo, in attesa di conoscere maggiori dettagli in merito agli eventi europei. In questa pagina, comunque, potrete iniziare a raccogliere qualche informazione extra.